CoffeeStrong delivers the best Ethical Coffee Bean Products on the market today. We keep our lists fresh and current so you get the best options and top rated…. 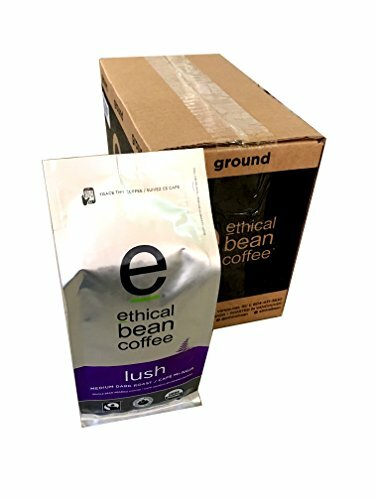 Ethical Bean Coffee Company is fair trade coffee at it’s finest. QR coded bags allow your phone to scan and unlike the story of the bean. 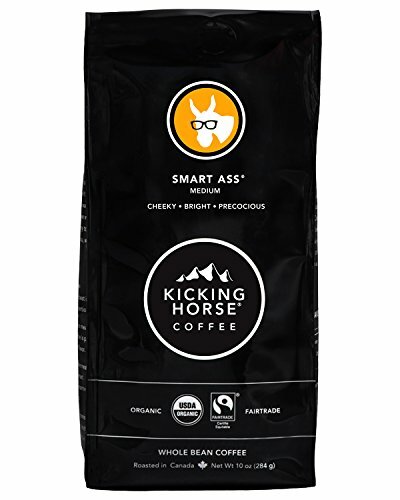 Artisan roasted in a carbon neutral facility in Vancouver, Canada, their Certified Q Graders are the industry’s most eminent coffee experts. 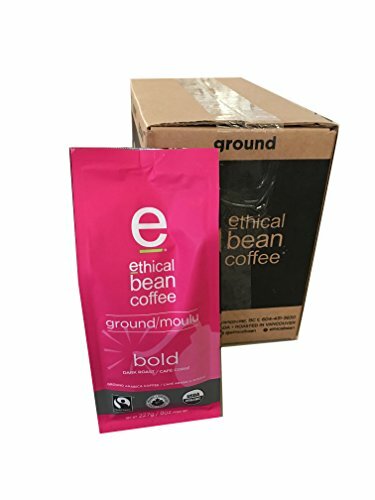 Check out our Favorite Top Rated Ethical Bean Coffees below. 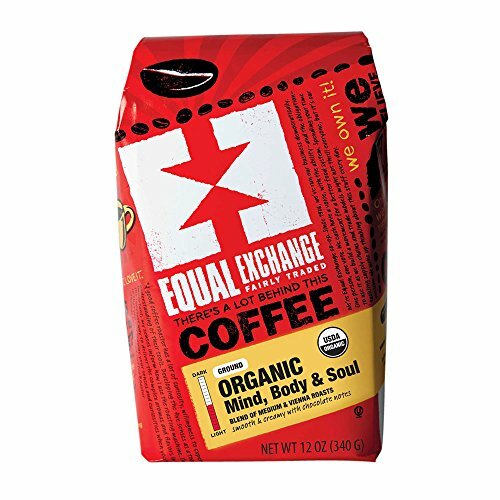 Ethical Bean Coffee Organic Classic Medium Roast Whole Bean Coffee, 12 Ounce -- 6 per case. 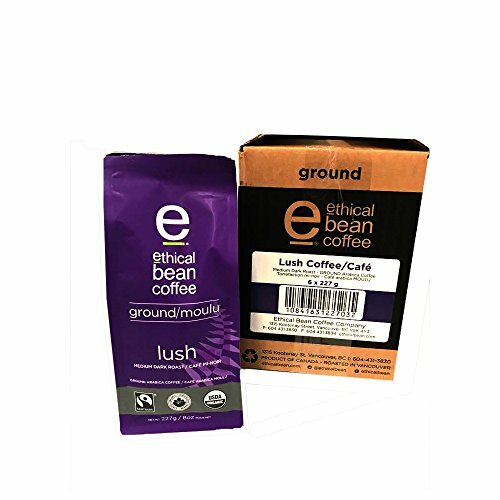 Pack of 6 of 12 oz Ethical Bean Lush Whole Bean Coffee. YOUR MORNING PERFECTED: Our Ground Lush Medium Dark roast premium coffee is a crowd favorite. A full bodied cup, alive with fruit, smoke, and earth tasting notes. The perfect wake up call for any coffee lover. 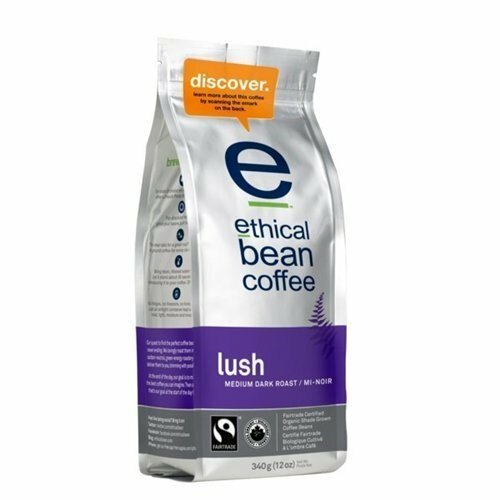 ARTISAN ROASTED: Every delicious cup of Ethical Bean Coffee has been crafted with one simple objective in mind - to make the best fairtrade coffee on the planet. Artisan roasted in Vancouver, Canada, we test it, slurp it, and stamp it with an "e" - so that you'll love it with the same passion that went into creating it. FAIRTRADE, ORGANIC, KOSHER, B CORP CERTIFIED: We've got you covered with credible third party social and environmental certifications. Better for farmers and their families, better for the planet, and of course, better for you. SOUTH AND CENTRAL AMERICAN ORIGIN: Our Lush roast is sourced seasonally from premium Latin American arabica coffee, shade grown at high altitudes. Scan the QR code sticker on the back of your bag to learn more about where your coffee was grown, when it was roasted, all flavours and view insider cupping, tasting and roasting details. A hammering dark roast, blended to display body, balance and a dazzling dark cocoa-laced finish. Premium Latin American arabica coffee, sourced seasonally for freshness. Artisan roasted in a carbon neutral facility in Vancouver, Canada. Single origin, sourced seasonally for freshness, premium Latin American arabica beans. 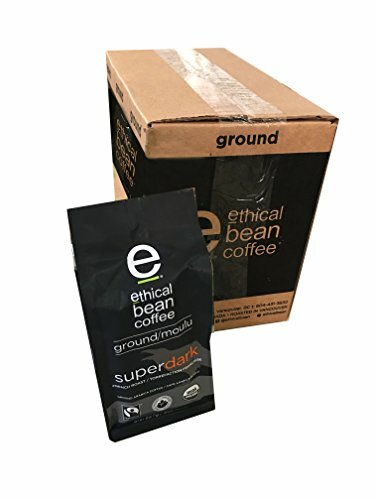 Ethical Bean Coffee Organic Decaf Dark Roast Whole Bean Coffee, 12 Ounce -- 6 per case. Ethical Bean Coffee Company gives back to the community through annual sales. Local groups as well as 2 groups across the seas benefit from every sale. One program is providing children in Guatemala with uniforms, school supplies and associated needed costs, as well as health care. The other is a eco-sustainable village for at-risk mothers and children helping to support the community.